When I was a little kid, my mom would let me run across the street to get the mail. We didn’t live on a busy road, but she taught me road safety. First, listen. Then, look to the left, right, and left again. If there weren’t any cars coming, I could cross the street. Pretty simple? As adults we do it without thinking, but maybe we should think about it more often – especially when touring battlefields and historical sites. It’s been a while since I’ve been on the East Coast. Eight years, to be precise. I learned a lot on that first trip and brought home some startlingly beautiful memories from the battlefields. There was one really important thing I learned from that trip. It was simple: look around. Let me explain. We were in Lexington, Virginia. We had toured “Stonewall” Jackson’s home, Virginia Military Institute, Lee’s Chapel, and made our way to Stonewall Jackson Memorial Cemetery. After standing for a few moments at Jackson’s grave, we walked through other parts of the burial ground. 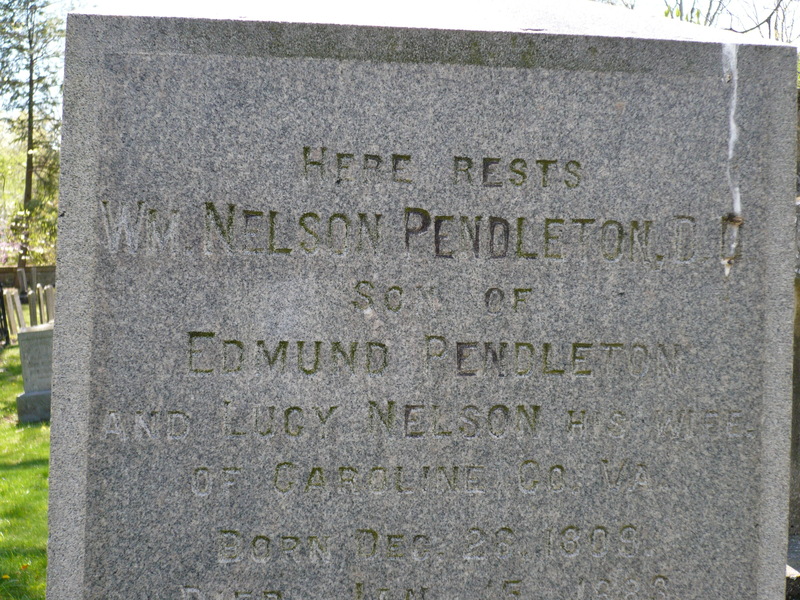 Near one of the gates, my mom found the grave-marker of General William Nelson Pendleton, and we read the lengthy inscription, detailing this man devoted life as a minister and family-man. William Nelson Pendleton was a better preacher than officer, but he did serve as Lee’s chief of artillery for a while. Under his direction, the famous four cannons (now at VMI) were named Matthew, Mark, Luke, and John, supposedly because they would “preach the gospel” and force many battlefield conversions. Eight years ago, I didn’t know much about the Pendleton Family of Lexington. Confession: my knowledge came from the movie Gods & Generals. (In fact, I was still figuring out that the Pendletons and Pembertons were different families. How embarrassing is that?!) Well, I was quite impressed with the list of noble attributes on General Pendleton’s tombstone and took quite a few photographs…being very, very careful not get any other gravestones in my pictures. Especially not that stone cross to the right. Fast-forward a couple years. I’m reading Stonewall’s Man: Sandie Pendleton by W.G. Bean (a biography about William Nelson Pendleton’s son). I totally had a new historical hero and cried through a handful of tissues when he died in the non-fiction narrative…and was buried in Lexington. I desperately wanted to know what his tombstone said and exactly where he was buried in the cemetery. After an internet search, I was horrified to learn that the grave stone I had been so careful not to include in any of my photographs was my hero’s! Ugh…so disappointed. Now as I’m planning my travels in Virginia, I’m vowing to stop and look around. Of course, I will miss some things, but I want to take in everything at each location I’m able to visit. Yes, I will be careful when I cross the road, but I’m also going to stop, listen, and look left, right, left at historical sites. Maybe you’ll want to do same? Here’s to safe landings and happy travels. Who knows what we’ll discover! This entry was posted in Emerging Civil War, Memory and tagged Cemetery, Kate Corbin, Lexington, Sandie Pendleton, stonewall, travel, William Nelson Pendleton. Bookmark the permalink. Your story reminds me of my daughter, Anne Marie. She was always missing out on things, like seeing assignments on the class room chalk board. Then we discovered she had serious tunnel vision. Many of us suffer from historical tunnel vision at times. It was my 3rd trip to Gettysburg, when I decided that instead of walking down to the Cemetery Hill Angle, I walked to the reverse slope, and discovered a number of regimental markers for infantry and even cavalry units! These are not marked on most maps. It made me realize just how futile Pickett’s charge was. Even if the attackers had managed to break through, there was yet another entire line in reserve! I can imagine how the hapless Rebels would have been decimated even more, by the rapid fire of the dismounted cavalry’s breech-loading carbines! Also, my fertile imagination can envision– what if they had decided to made a mounted charge over the crest of the hill, upon the unsuspecting and disordered Confederates! Glad you are keeping your eyes open. Living in Virginia, I overlook a lot of things. Fortunately, because I live here, I can pretty much guarantee a return trip to most civil war sites and learn something new. It’s part of the fun. Earlier this week my eight year old and I left the house bound for Gettysburg. The DC beltway was a parking lot, as were the major routes north. So, we changed plans and headed to the valley. The plan was to visit Kernstown, a small, walkable battlefield (for my 8-yr old) that’s wonderfully maintained by the Kernstown Battlefield Association. Turns out it’s only open on weekends. I had the suspicion, because it’s staffed entirely by volunteers, but figured we’d try anyway. A friend and I had visited a few years ago, but I almost missed the entrance due to the massive amounts of development taking place all along the valley pike between Stephens City and Winchester. So, we headed south to Cedar Creek, which I’ve been visiting irregularly since the early 90s. Did the driving tour, stopped in at the Battlefield Foundation’s headquarters, which is more of a store and growing archive than an interpretive center, and had a nice chat with the always-helpful folks there. They suggested a visit to the NPS Ranger contact station, which I hadn’t been aware of. For an infrequent visitor, it’s relatively new and we spent almost an hour talking to a volunteer and ranger, then following the battle on an LED map. I had a great time talking history with the staff and my daughter was more patient than I expected, or was entitled to. Since returning to DC would have dropped us in the middle of rush hour, we headed north to Winchester for dinner. A great town to visit for history, not just from the civil war period. George Washington represented the area in the VA House of Burgesses and Dan Morgan lived there for a time. (Lord Thomas Fairfax is reportedly buried in the yard of the Episcopal Church, but we had to leave before finding the church or his gave.) Walking down a pedestrian mall in search of dinner and ice cream, we ran into the Old Courthouse Civil War Museum. They were close to closing, but allowed us to check out some graffiti in the building. It included a drawing of a donkey or horse in uniform. In all my years putzing around the valley, I don’t think I had ever been inside. Heresy, I know. Anyway, I’m trying to second your point. When in the hunt for civil war sites or knowledge, it pays to meander a bit. If we had turned around when traffic got in the way, we would’ve missed the rangers and the fact that someone in the valley thought one of his fellow civil war soldiers was a horse’s posterior. We were also reminded of the importance of groups like the Civil War Trust, Kernstown Battlefield Association, Cedar Creek Battlefield Foundation, the Shenandoah Valley Battlefield Foundation, and the National Park Service, without which sites like these would have long been turned into strip malls and parking lots. 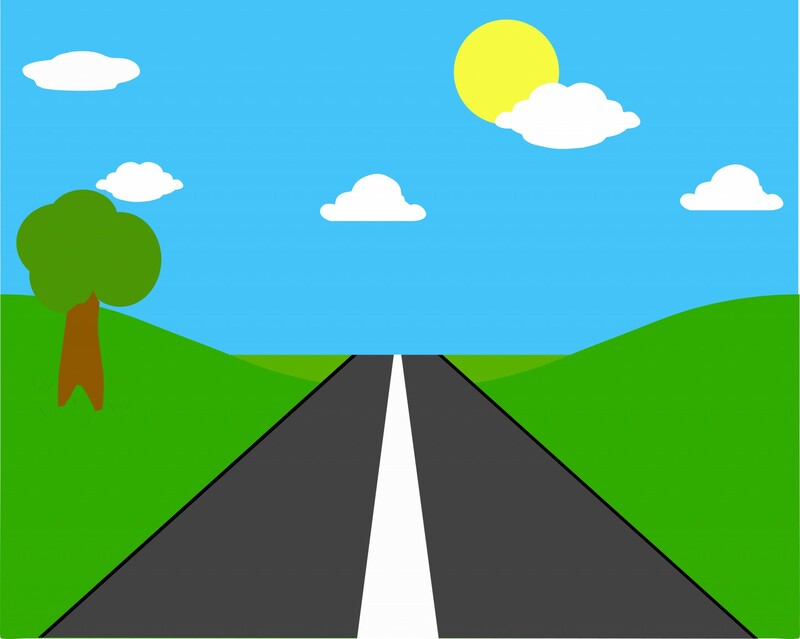 What wonderful places to visit and how nice that you live not too far from them! I hope you are able to visit Kernstown someday. I really enjoyed my day there… And isn’t Winchester an awesome historic town? i will make it back to Kernstown again come hell or high water!